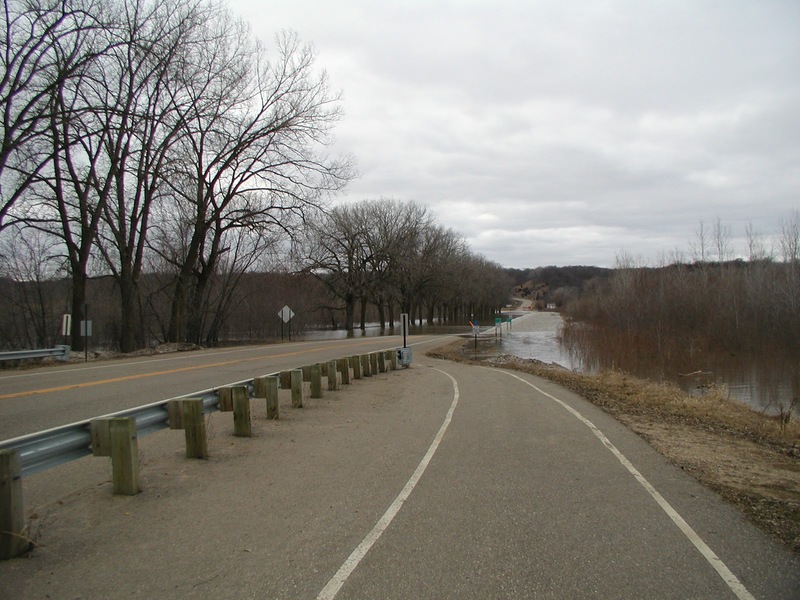 The Minnesota River occupies the former channel of Glacial River Warren, one of the outlets to Glacial Lake Agassiz. 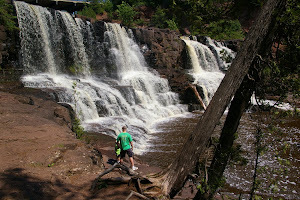 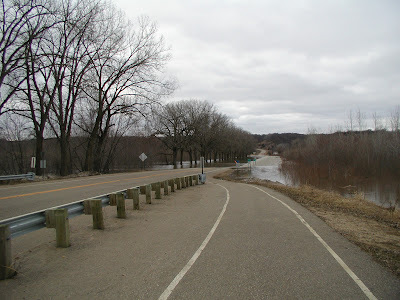 Because the Minnesota River is much smaller than the channel in which it flows and is too small to have carved the channel, it is considered to be an underfit river. 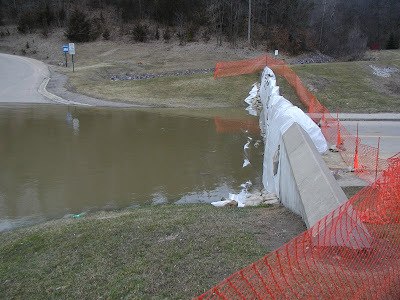 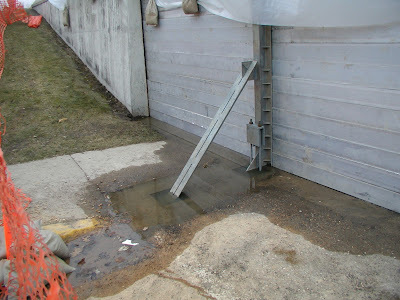 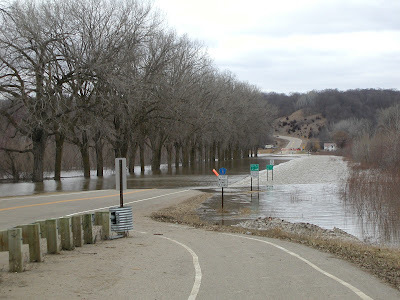 Flooding in the river valley is common when conditions are met, namely a wet spring coinciding with a fast snowmelt. 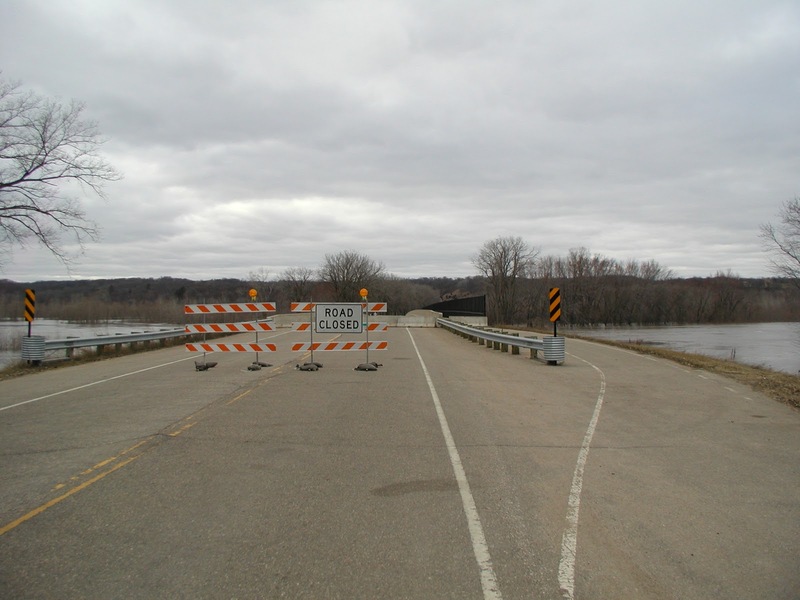 During periods of flooding many of the bridges over the river are closed due to either water over the roads approaching the bridge or stresses placed on the bridge themselves. 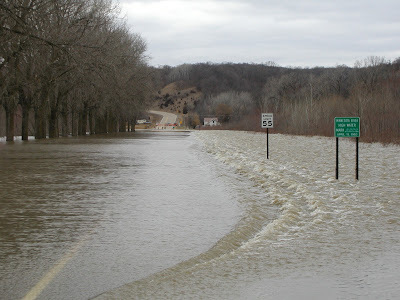 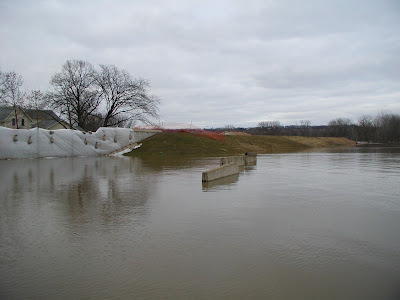 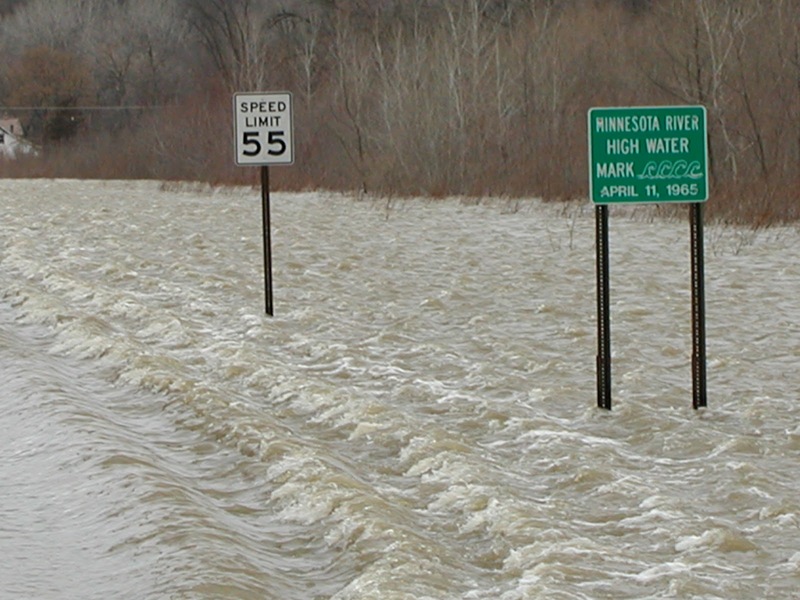 Due to the relatively flat topography of the river valley (largely due to Glacial River Warren), during periods of heavy flooding, large portions of the valley are covered by water. 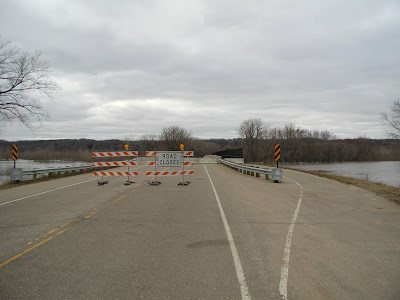 All of the pictures in this post were taken during 2010. 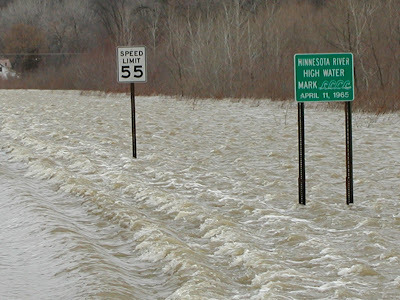 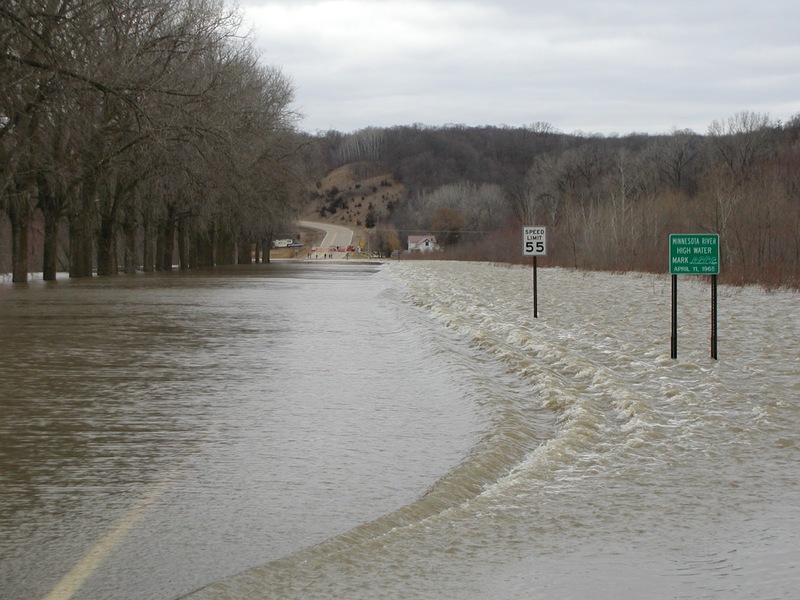 For many locations and cities along the Minnesota River, the spring flood of 1965 still holds the record for the highest level ever seen of the river. Because of the nature of the 1965 flood, many cities built better flood protection devices like dikes with the help of local, state, and federal money. 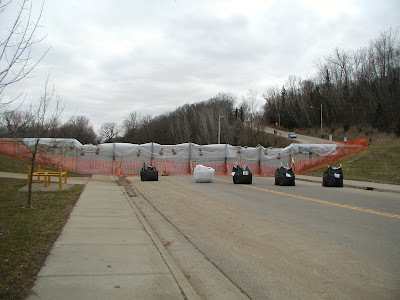 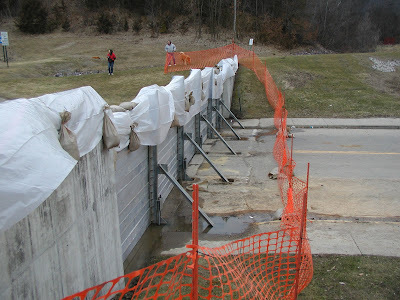 Along with the dike that encircles the city of Henderson, the city has two flood gates that are closed when the river reaches a height of 734 feet. 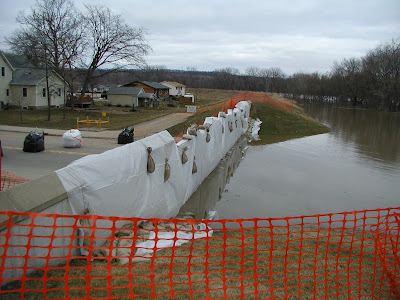 The highest recorded river level in Henderson was September 28, 2010 at 740.08 feet (http://water.weather.gov/ahps2/hydrograph.php?wfo=mpx&gage=henm5).